2011 CALIFORNIA GOVERNOR’S ENVIRONMENTAL AND ECONOMIC LEADERSHIP AWARD (GEELA). The Houweling’s vision for sustainability is based on the principles of environmental soundness, economic feasibility and social equity. 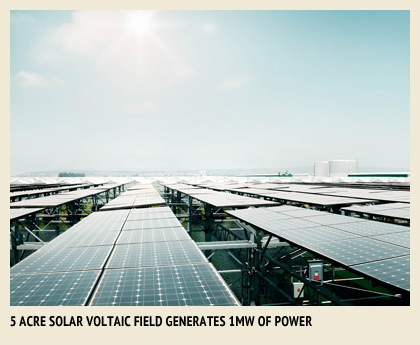 We have made tremendous inroads toward fulfilling this vision, such as generating solar electric power, conserving water, minimizing pest and plant disease, and providing year-round jobs for 400+ employees in Camarillo. 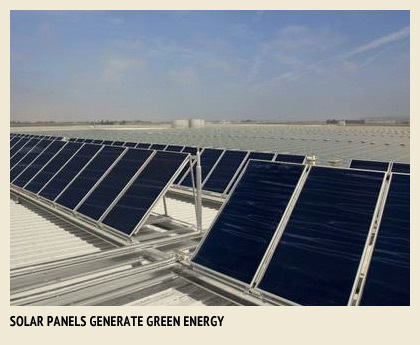 Five acres of photovoltaic solar panels at our Camarillo site provide one megawatt of electricity. In terms of carbon dioxide reduction from conventional energy sources, this is equivalent to removing 300 cars from the road. We do all we can to collect and reuse water. A four acre on-site retention pond captures rainwater and runoff, filtration technology cleans and recirculates, and computer-monitored drip irrigation conserves. 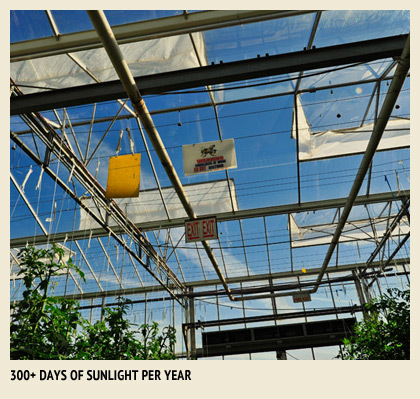 In California, we produce in excess of 24 times the amount of tomatoes as traditional field farming. 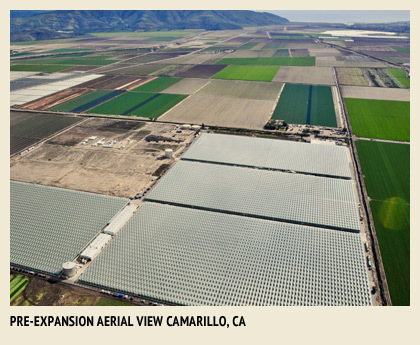 It would take over 3,000 acres (7,000 acres farm gate) of open fields to match the output of our 125 acres under glass in Camarillo. 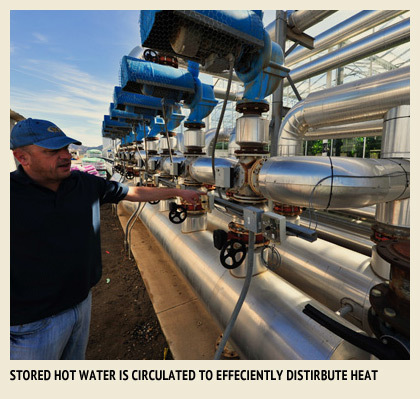 Heat is collected from refrigeration equipment, solar thermal and irrigation water for use in heating the greenhouses, thereby displacing natural gas. Over 90% of waste is recycled. 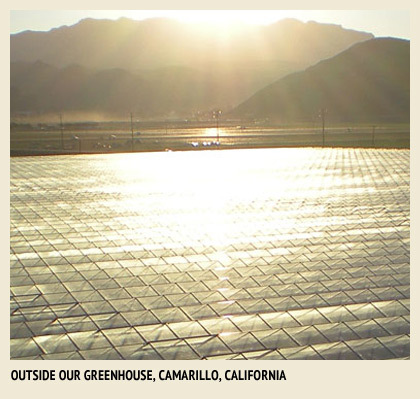 Our new 13.2 megawatt heat-and-power cogeneration technology at Camarillo is the first of its kind in the United States to capture traditionally wasted heat, water and C02 for use within the greenhouse. This technology well exceeds our power needs allowing us to supply electricity to the grid.